Ohio has been declared a disaster from the storm that produced 80 MHP winds on 9/14/08. The last time Ohio was declared a disaster was 1979. I can’t help but to think that I thought we (in Ohio) would be safe from a hurricane?! 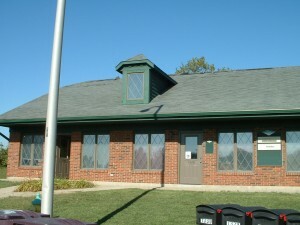 My home is still without power, and my agency’s office building sustained roof damage. I want to address some of the coverage questions with our customers relating to fallen trees, damaged roofs, and spoiled food. The policy will provide debris removal coverage for fallen trees. This coverage is up to $1,000 per occurrence with a limit of $500 per tree. The policy deductible applies. If a fallen tree damages covered property the cost of removing that part of the tree that hit that property will be covered along with the repair or replacement of that property. The policy deductible applies. The homeowner policy provides coverage for loss of the contents of the refrigerator or freezer units on the residence premises from power failure. The only exception is for contents used for business purposes. The policy deductible applies. If you have experienced shingles blown off the roof, the policy will either repair or replace, based on examination and extent of the damage. If only one side of the roof is damaged then that part of the roof may be all that will be paid for. The claims department will make the final determination and the policy deductible applies. The policy will provide debris removal for trees fallen in the yard up to $500. The policy deductible applies. The food spoiled in the refrigerator or freezer on the residence premises in the standard un-endorsed policy is $250 per loss. If your home policy has the “enhancement “Plus” endorsement the coverage is increased to $750. The policy deductible applies. 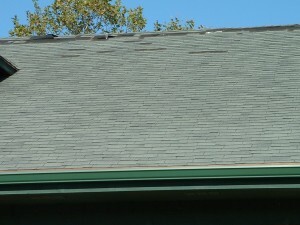 If you have shingles blown off the roof, the treatment is the same as Erie Insurance, if the roof can be repaired then it will be, if not, then the policy will pay for replacement of the damaged part of the roof. Often times in a storm like this only one side of the roof is damaged, or just the front, or back. 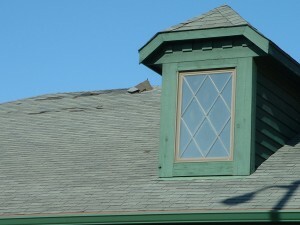 In that instance, the insurance carrier will most likely pay for that part of the roof replacement. ONE MORE IMPORTANT NOTE: If “your” tree falls in your neighbors yard, or hits your neighbors house IT IS NOT YOUR FAULT, (unless you were made aware that that tree was dead and poses a threat to their property). The same thing goes for a tree from your neighbors yard, if it hits your car or house YOUR insurance will be responsible. Please call us if you have “what if” questions, or need recommendations for contractors, or just want to talk about these or other insurance related issues. It is hard to believe that you are this smart. Thanks for this info. It’s very helpful for us personnally – and professionally for Rick. Thanks and keep the updates coming. We believe in personalizing quotes to match your needs. Let us call you and ensure we have the best solution for you!